Somehow I randomly have this picture from pajama day about a month ago on here. I guess I wanted to show you, but hey, then yesterday we went shopping at Trader Joe’s in our pajamas for no reason at all. Ha ha. We had a discussion in the car about not needing a list because we always get the same things. Usually I try to keep my weekly mileage at about 50 miles a week. That’s the number that I shoot for as it’s about all I can get with full time work and teaching a few classes on top of that. Saturdays are usually the only days I get outside to run and the only long run days I get, but this week was a little different and I got to get outside for a quick 3 miles Tuesday night (and see how many bugs I could get stuck to my sweaty face and neck). Things were super busy yesterday so instead of my usual long run I had a runch date with the Gilmore Girls. I don’t know how I never watched this series before, but man am I excited to have these to watch for awhile. I always need a distraction on the treadmill. I don’t know how people can run without anything on there. I didn’t really feel well last night and I knew I had signed up for the Hot Chocolate 15K for this morning. Last night I went to bed and was thinking that instead of getting up and racing or anything I’d just get up and try to get a long slow run in if I felt okay. Well, I woke up in the middle of the night worried that I had missed the race and knew that I had to go because I had paid $100 for it and there was chocolate. Ha. So, I went and despite my ongoing tummy troubles all day today had a pretty fun morning. My pre run meal was a roasted purple sweet potato with NuttZo, a little coconut oil and cinnamon with coffee. The only other time I ran this race was a couple years ago (recap is here) and they didn’t have medals. The medals this time were super cute and I like the plastic take home mug we got. The course is nice. It’s pretty hilly, but it keeps it exciting. I did get passed up at the last mile by a guy wearing an arm cast. Thought that was pretty funny and also thought that his cast must be pretty gross. Ha. My finish time was 1:13:40 which is almost exactly 7 minutes slower than last time. That’s what happens with age, full time work, a few extra pounds, tummy troubles….. yeah, the list goes on, but that’s okay. No excuses, it’s all about balance these days. Afterwards I had the option to try to get in a few more miles to make it a long run or hightail it back to church to meet up with the family and see the boys wave palm branches for Palm Sunday. I chose church (even though I did show up in my race outfit). Oh and I never did a full review of the new Mizuno Wave Catalyst shoe. I LOVE THEM. They are VERY similar to the Elixir that I loved for years. They are the perfect racing shoe or lighter shoe for those of us who still need a little support. They are definitely my new racing shoe! Oh and they got the “Best Runner’s World Debut” award. Woo hoo! I have some discounts and favorite things to share. 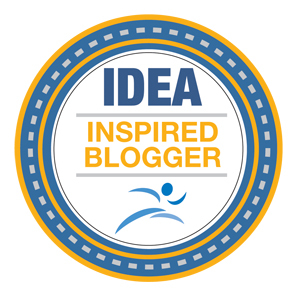 As #RocknBlog ambassador I get a discount code to pass along to everyone. It’s good for $15 off ANY Rock ‘n’ Roll Marathon or Half. The code is STUFT and you can check out all the races AND the tour stops here (or click the picture below). I have a discount code for the OC Marathon or Half Marathon too that’s coming up on May 1st. It’s KRISTIN10OFF. I found out last week that I got into the TCS New York City Marathon. I’m so excited! The other time I was there was really rough and I seriously need a redemption. I’m not where I want to be right now only 4 weeks out for Boston so I’m looking at making NYC my goal marathon and really go for it. We shall see. I’m enlisting the help of my friend and coach Jason. Who happens to have a new book coming out in a few weeks. 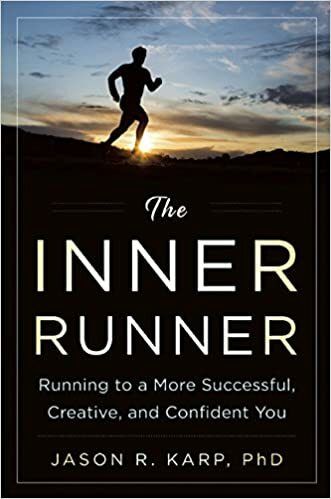 I’m actually in this new book, The Inner Runner. I’m nervous as I don’t remember how I answered his interview questions and I’m not sure what exactly he wrote about me, so again, we shall see. I may not have gotten a long run in this week, but we are going for a family walk in a few minutes and we’re starting the week with clean laundry and a clean kitchen floor. Woot! Retail therapy with these guys. My new favorite drink from Starbucks- venti Americano with one pump sugar free cinnamon dulce syrup and a splash of coconut milk. The fact that Judah wrote this letter all by himself the might before Saint Patrick’s Day. Luckily the “leprechauns” pulled through with a letter and some gold dollar coins. Oh and we always have to dress up for holidays around here. Thanks to Run WIth Perseverance and Pro Compression I have a tank and socks for any occasion. I’ve been adding spinach and blueberries to anything and everything. Protein ice cream never disappoints. Oh and I’m obsessed with these Lenny and Larry’s Vegan Protein Cookies. Every single flavor is sooooooo good and the cookies are BIG! My favorite flavors are Birthday Cake, Coconut Chocolate Chip and that Double Chocolate Peanut Butter Swirl one. Oh my……. I order them online here. I’ll be auctioning off some goodies in the next few weeks from Vega, Pro Compression and Handful for the Big Sur Marathon with Team For Life. This is the first marathon I’ve done with a charity group and am honored to help raise money for cancer patients and research. I still have $1700 to go to meet my goal. I better get on that! Okay. I’m off. Have a wonderful start to your week! Do you know of any good biking books…motivational biking blogs? I am getting into biking since my running days are over and its better on my knees but I can’t find a lot out there….just curious. Thanks! 7 minutes slower??? LOL…..still many minutes faster than many!!! Where did you get that black shirt with the good vibes on it?! I want one! It’s from Lorna Jane. I love it! I think any race that has the word ‘chocolate’ in it is a must do! I love the sweat shirt 🙂 I am pretty sure Walmart has those cookies, I must try them!